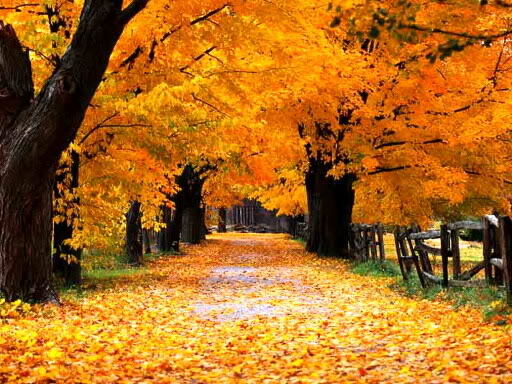 It’s fall, it’s fall… I love it all! I love everything about fall… bright blue skies, the return to school and routine, crisp temperatures, apples, pumpkins, cinnamon spice candles, and the changing color of trees. I get so much joy from seeing the beautiful array of fall foliage. I actually feel more energetic during the fall. I tend to do more “fall cleaning” at home instead of “spring cleaning.” Sometimes, I even have enough energy to start some home renovation or painting projects. So in the spring while many are doing their spring cleaning, I tend to feel more stressed by the busy schedule with my children’s school and mounting yardwork. I need to remind myself that spring is not my season to tackle cleaning or extra projects, and not feel guilty about my lack of motivation. Maybe you’re one who struggles with the shortened daylight hours and lack energy in the fall. There are many who suffer from Seasonal Affective Disorder. The degree to which people are affected can be minimal to severe. If you find that your normal functioning is impaired or you experience significant depression, you might consider seeking help from a doctor or mental health professional. It’s important to know yourself and what season best suits you, in order to plan your projects and activities to match your energy level. So how do you know what your season is? There is actually a self-assessment you can take to determine your seasonality. But the main question to consider is: in which seasons do you tend to feel the best, or feel the worst? Do you have significant changes on your sleeping and eating patterns from season to season? Do you tend to be more social or energetic in certain seasons? Knowing your season can help you adjust your activities and schedule accordingly when possible. For more ideas on how to find out how seasonal you are, check out this article by Norman Rosenthal. Eat healthy. Resist the urge to default to comfort foods, as the extra fat and sugar make us feel worse. Look for heart-healthy, low-calorie foods to help you feel your best. Stay active. Try to find ways to enjoy the season, whatever it is. Exercise can boost your mood and your immune system. Stay connected. Spending time with family and friends is critical to fighting isolation. Seek help. A mental health professional can help you identify problem areas and develop a plan to work through them. Maybe you need to adjust your goals. American Psychological Association. Seasonal Affective Disorder. Retrieved Sep 20, 2017 from http://www.apa.org/helpcenter/seasonal-affective-disorder.aspx. Norman Rosenthal, N. How Seasonal Are You? Assessing and treating seasonality. Posted Dec 22, 2008 https://www.psychologytoday.com/blog/your-mind-your-body/200812/how-seasonal-are-you?collection=106209. Seasonal Pattern Assessment Questionnaire. National Institute of Mental Health. Retrieved Sep 20, 2017 from http://www.ubcmood.ca/sad/spaq-sad.pdf. For many people, the cold winter months bring an onset of what is described as the winter blues. 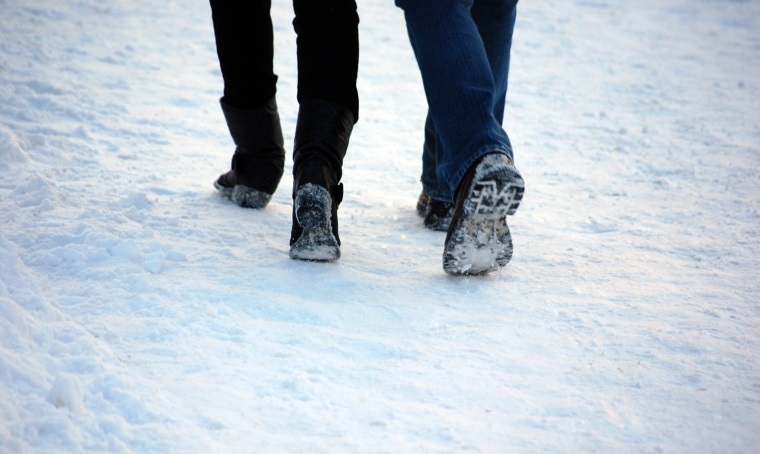 The colder, darker winter months can cause a change in our moods and our behaviors. Some examples are sleeping more, becoming more irritable, eating more, and avoiding friends or social situations. One great way to connect to others in the winter months is to volunteer, at a shelter, a food bank, a nursing home, or at an after school program. Another way is to stay active. Join a fitness class. Invite some friends to go on a walk or meet at a gym to shoot some hoops. Practice mindfulness activities, like yoga or meditation, to help center your thoughts and help you to relax. Be present in whatever activity you are engaged in. Turn off the cell phones and focus on where you are and who are you are with. Curl up with your loved ones (spouse, childen, grandchildren) under a warm and cozy, blanket and read a book or watch a funny movie. Eat healthier meals and take time to eat at a leisurely pace. If you find that the winter blues are interfering with your daily activities for a period longer than two weeks, please consult your family physician or a mental health professional. Seasonal Affective Disorder is a mood disorder that is categorized as a type of depression and occurs during months where individuals have less exposure to natural sunlight that can be treated with appropriate medical help. Eco therapy or the growing field of outdoor practices connects us to the healing benefits of nature. Decrease stress, improve your immune response, lower your blood pressure and make your sleep more peaceful by using these strategies. Go outside. 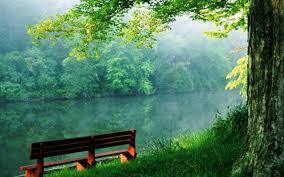 Researchers in the United States and Japan have determined that simply being in nature helps lower blood pressure. Is it the view? Or the smell of trees? Maybe walking on a trail or looking for signs of spring? People suffering from stress, illness or a trauma can benefit from spending quiet time in nature to heal. Explore walking in the gardens, hiking in the mountains, or walking trails in the woods. Nature is not only wilderness. The benefits of nature can also be found in our communities’ parks and green spaces. If you enjoy hiking outdoors, great! Researchers have linked lowered blood pressure and improved immune response to exercising outdoors. They found that being physically active outside increases these benefits more than the same activity completed inside or in urban settings. Once you are outside, move! Regular exercise has been proven to help control depression and reduce stress. Try movements you enjoy, such as biking, walking or gardening. An added bonus includes exercises that focus the mind on the present movement. Dance, yoga and martial arts have all been shown to have excellent stress-relief benefits. Be mindful. Spend time each day to ground and center your mind. This helps bring focus and peace to your daily life. How do you do this? Relax and breathe deeply or focus on your breath. Mindfulness is paying attention in a particular way, on purpose in the present moment. For example, pay more attention as you’re brushing your teeth, taking a shower or taking a walk outdoors. Zero in on the sight, smell, sound, taste and feel of these activities. Mindfulness is a practice that trains your brain to be more efficient and better integrated with less distractions and improved focus. It reduces stress and helps you become your best self. The decrease in natural light in winter months can actually change one’s brain chemistry. Levels of the neurotransmitter serotonin drop in winter months while levels of sleep-promoting melatonin increase. The combination of changes in these two brain chemicals can lead to mild depression or the more serious condition of Seasonal Affective Disorder (SAD). Symptoms of SAD may include sleeping too much, eating too much, decreased energy, decreased ability to concentrate and social withdrawal. If any of these symptoms begin to interfere with your ability to function at home or work, you may need to seek professional diagnoses and treatment. Your doctor can work with you to develop a treatment to help you through the winter months. There are things you can do to combat the winter blues, according to Dr. Mark Frye, M.D. of the Mayo Clinic. • Get outside – Natural light is good for you. Take a break at lunch and go for a walk. • Light Therapy Boxes – These can help if you’re unable to get outdoors. • Exercise – Try for at least three times a week for 30 minutes. • Socialize – Interact with family and friends on a regular basis. Winter won’t last forever… spring IS coming! Until then, use these tips to elevate your mood and energy and to live healthy AND well! Are you ready for your morning coffee? With more than 80 percent of American adults consuming ca ffeine on a regular basis, does caffeine really do harm to our bodies? That may depend upon amounts. Two to four cups of brewed coffee a day usually isn’t a problem for most people. • Mental stimulation – People who don’t have a dependence on caffeine or don’t use it regularly can become “significantly more alert and better able to perform cognitive and motor tasks if given the right dose.” For regular users it offers few benefits in this area. What people think of as stimulating and good actually is due to the alleviation of withdrawal symptoms. • Lack of Sleep – Caffeine can help you stay more alert when you are sleep deprived. However, you can build up a tolerance to caffeine so for regular users an extra boost is usually needed. • Headaches – Caffeine acts as a mild pain reliever. It also constricts your blood vessels which can help since usually they dilate when you have a headache. • Physical Performance – Caffeine can help you during an endurance exercise like running but is less effective for activities such as lifting weights or sprinting. This can be true for both regular users and non-users. Since caffeine also helps reduce pain you may exercise longer. • Parkinson’s Disease – Studies have concluded that higher caffeine usage seems to reduce the risk of developing Parkinson’s Disease. Caffeine may help Parkinson’s patients with tremors or other motor symptoms. Again tolerance seems to negate long-term help. • Gallstones – Studies show drinking two or three cups of regular coffee a day reduced the risk of gallstones for women 20 percent and for men 40 percent. • Dementia – Caffeine may provide some protection against Alzheimer’s disease. More studies are needed. • Pregnancy – Women trying to get pregnant or already pregnant should avoid caffeine –containing foods and drugs, according to the Food and Drug Administration. Caffeine can cause harmful effects on fertility, miscarriage, and fetal growth. • Disrupted Sleep – Caffeine can affect your sleep or ability to fall asleep for up to 13 hours later. • If you drink more than 4 cups a day you can experience these unpleasant effects: insomnia, restlessness, irritability, nervousness, stomach upset, fast heartbeat, and muscle tremors. • Beware that some medications and herbal supplements can interact with caffeine. Check with your doctor or pharmacist. • Weight – There is no evidence that caffeine helps people lose or keep weight off, although many weight-loss supplements contain caffeine. • Heart – A 30 year study in California didn’t find an increase in risk of cardiac arrhythmias among regular coffee drinkers. • High Blood Pressure – Although caffeine can cause a modest increase in blood pressure, studies have not showed an increase in the development of hypertension among caffeine coffee drinkers. Caffeine may be a part of your daily routine. As long as it doesn’t cause any problems for you… Enjoy! Reviewed by: Linnette Goard, Field Specialist, Food Safety, Selection and Management; Family and Consumer Sciences, Ohio State University Extension. Schardt, D. . Caffeine! Nutrition Action Health Letter, December 2012, 39 (10), 7-8.